While researching my great great uncle Reuben Edward Harman for the Harman family history I’m writing, I’ve been scouring Trove for everything I can find on the 13th Light Horse Regiment, with whom Reuben served during WW1. Letters to home from the boys in the trenches are a great way to get a feel for their war experience. Daily routines, the sights and smells and mentions of other soldiers, either from the same battalion or from the same hometown, can all help our understanding of how our family members spent their time in the armed forces during wartime. The following extract from a letter by Sergent A.Louis. 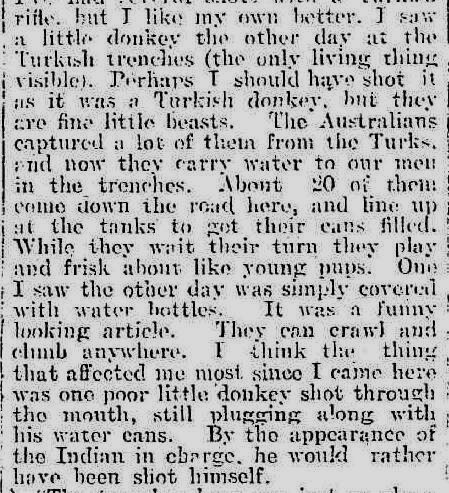 Dardel of Batesford Victoria, caught my eye because it mentions the donkeys that worked so hard for the Australian troops, and those of other countries, carting supplies and injured soldiers over the rough terrain of ANZAC Cove. 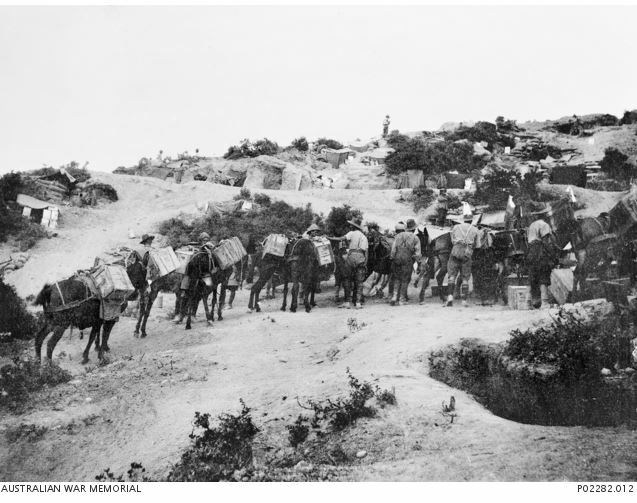 The 13th LHR were at Gallipoli, minus their horses. They were kept back in Egypt because the Turkish terrain was not considered suitable for them. The nimble donkeys were their substitutes. 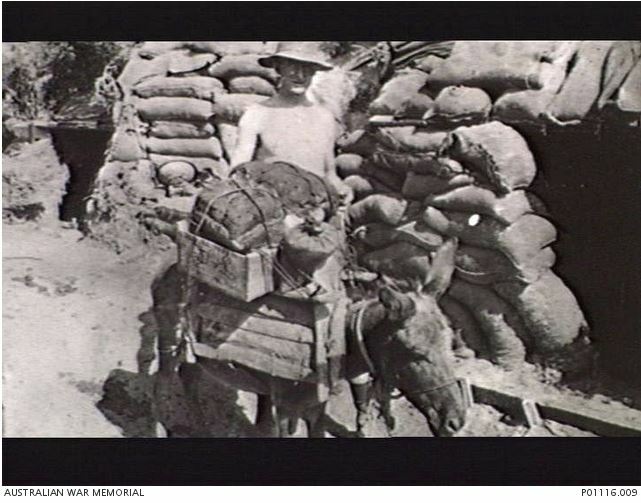 There had to be photos of the WW1 donkeys, so I searched Trove and found many photos from various sources including the Australian War Memorial and the State Library of Victoria. The following are a selection of those. This photo was taken before the Gallipoli landing. 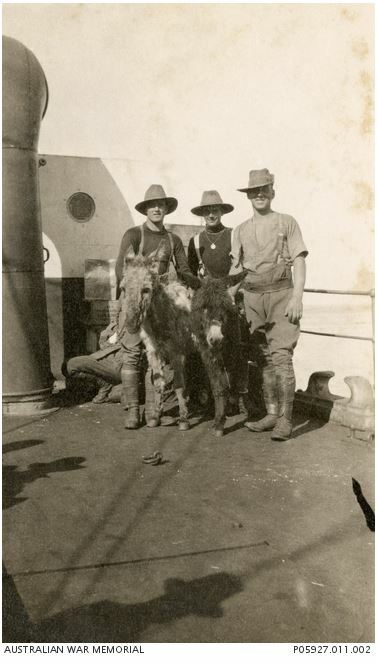 The donkeys were purchased on Lemnos en route to Gallipoli travelling aboard the HMT Ascot. 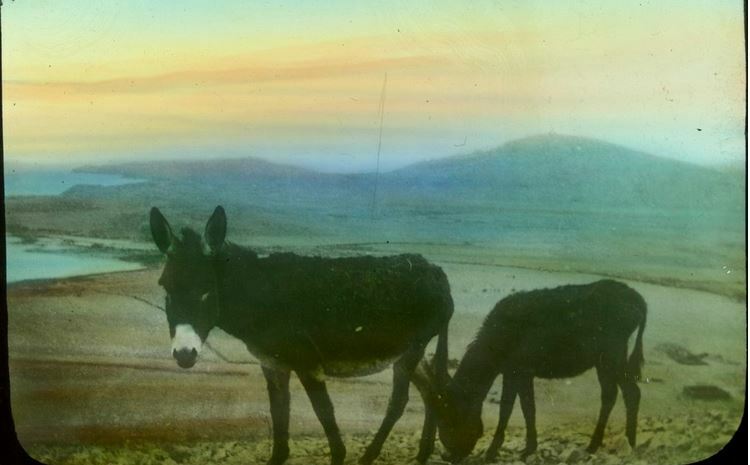 This little donkey is the closest I could find to the donkey laden with water bottles mentioned in Sargent Dardel’s letter. No, this is not John Simpson. In fact, it is Pte. 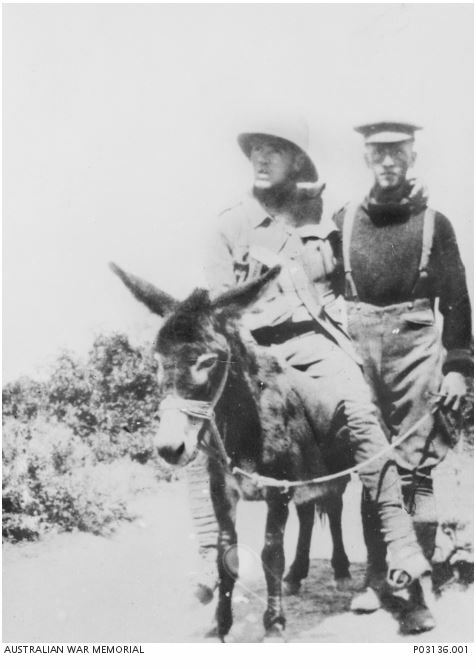 Richard Alexander Henderson, a member of the New Zealand Expeditionary Force, leading the donkey. Later in the war, he received a Military Medal. Just as the letter suggests, there was some time out for the donkeys. 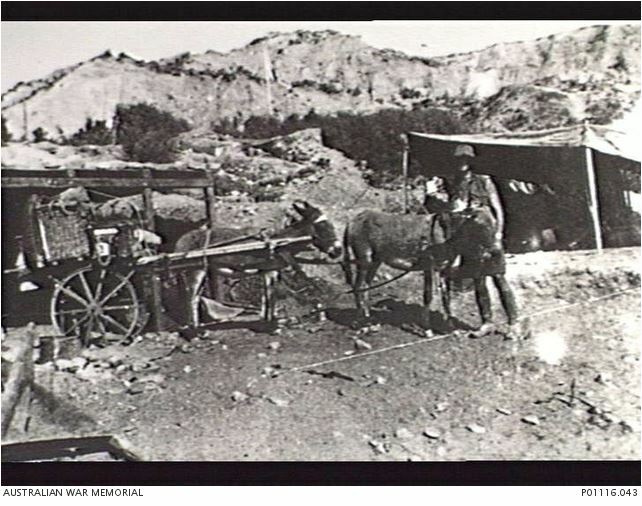 Donkeys were also used to pull carts. As we draw closer to the centenary of WW1, when we take time to remember those that fought for our country, we should also remember the animals that made the task easier, donkeys, horses and dogs. 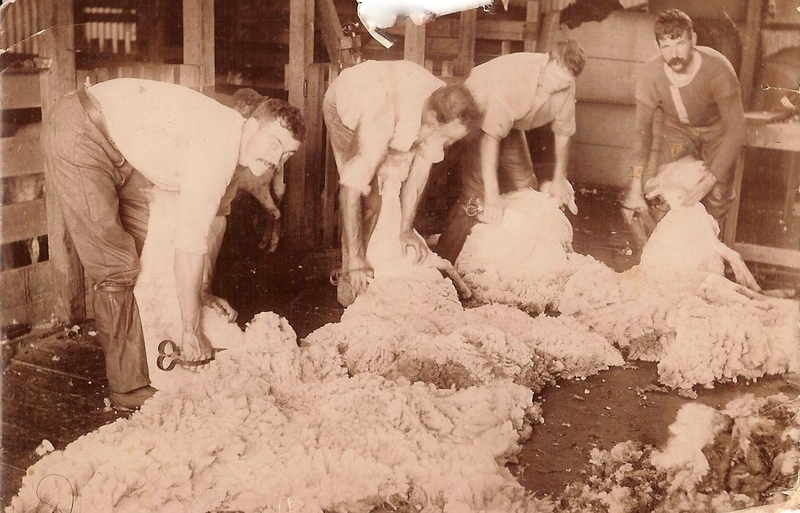 They had no choice in being there and not only did many lose their lives, they also worked under extreme conditions. This entry was posted in Trove Tuesday and tagged WW1. Bookmark the permalink.